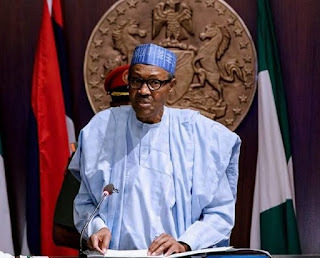 President Muhammadu Buhari yesterday said political appointees for his second term will be selected based on merit and national spread. He spoke when he met religious leaders at the State House in Abuja, and assured them of his commitment to leave Nigeria better than he met it in 2015. Buhari separately received the Christian Association of Nigeria (CAN) led by Rev. Dr. Samson Ayokunle, and Imams and senior Muslim clerics from across the country led by Professor Shehu Galadanci. He affirmed that his administration would continue to address important national challenges including security, economy and corruption. “We will continue to strive for peaceful co-existence among all Nigerians irrespective of their religious beliefs. In the area of allocation of political offices, our focus will be on merit and national spread such that every part of Nigeria will have a sense of belonging. ‘‘We remain resolute in the fight against terrorism and insurgency, and efforts to bring back all those in captivity and other victims of kidnappings will be intensified,’’ he said. Commending the important roles religious bodies played in the last four years of the administration, Buhari pledged to continue supporting several programmes anchored by the Nigeria Inter-Religious Council (NIREC) geared towards peace, tolerance, unity and harmony. Speaking after the meeting held behind closed doors, Ayokunle said the association was not under pressure to congratulate Buhari. “This delegation has come on behalf of CAN to congratulate you for victory and for being declared winner by INEC at the just-concluded 2019 presidential election. “Our prayer for you is that God shall grant you everything it takes to perform hundred times better than your first term. We pray that your administration leads Nigeria to become the glory and pride of nations in Africa and a country many people would desire to be, in the name of Jesus Christ our Lord and Saviour. “Please count on this organization as one that has the success of your administration at heart. In that respect, we would not cease in praying for you and speaking out about what is expected to be done from time to time in keeping with the Bible, the word of God,” he said.